This small and delightful town lies in the south of Spain in the province of Málaga. 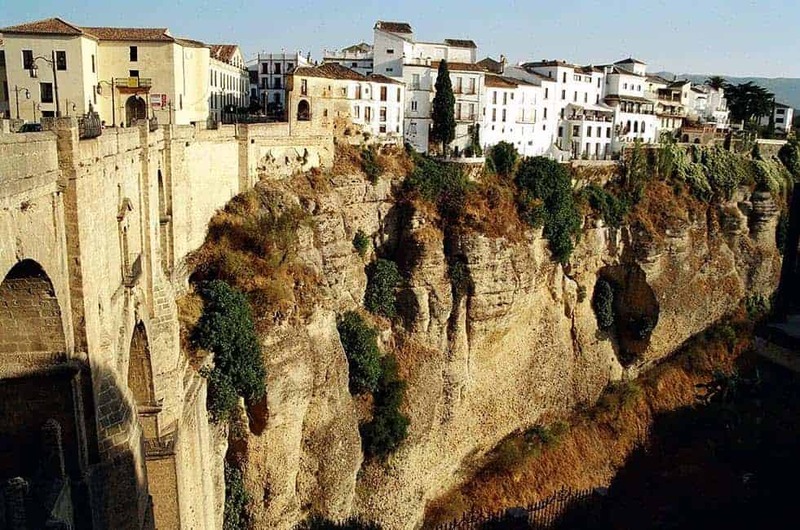 Its most notable features are its three bridges, Puente Romano, Puente Viejo and Puente Nuevo, which offer views of the canyons and mountains in and around the city. Puente Nuevo is the largest of the bridges and despite what its name suggests, it’s not quite all that new having been completed in 1793. Ronda is also home to the oldest bullfighting ring in Spain called the Plaza de Toros de Ronda. Each year you can check out the Corrida Goyesca for a historical bullfight in the same ring. 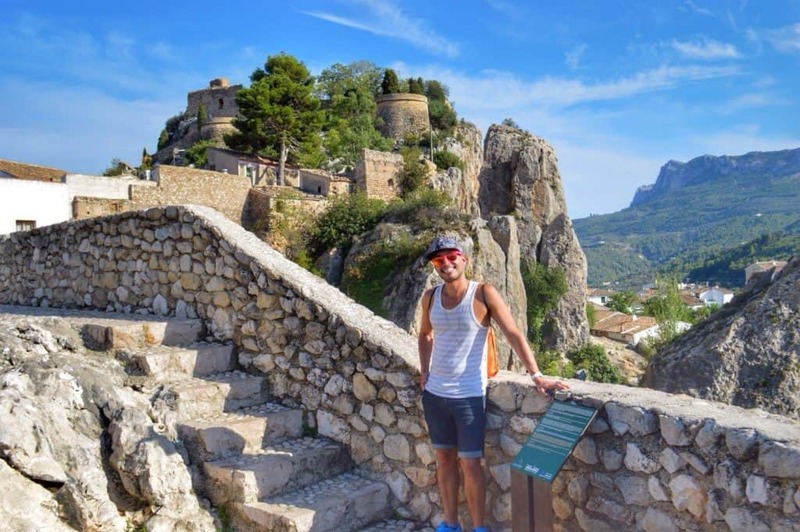 Guadalest, or more officially El Castell de Guadalest, is a small Valencian town that sits on a high rock overlooking the region of Marina Baixa. Due to its proximity, it makes for an easy day trip or weekend away when visiting the popular tourist city of Benidorm. This quaint town of just over 200 inhabitants is sprinkled with various monuments and perfect for a quiet, relaxing time against a beautiful mountainous backdrop. The Castle of San José, an 11th century fortress, is one of its most popular attractions. In the northern region of Aragon is the historical town of Huesca known for its beautiful Romanesque architecture as well as its gastronomy with meats and sausages standing out. Some of the most popular sites include the 13th century cathedral, the Monastery of San Pedro el Viejo dating back to the 12th century and the remnants of the city walls. Go in August to celebrate the Fiestas de San Lorenzo, a celebration in honor of Huesca’s patron saint. In the south of Spain is Frigiliana in the province of Málaga and one of the most alluring towns in Andalusia. It presents marvelous views of Costa del Sol and has a wonderful historic district with cobbled streets lined with white houses. The city’s architecture reflects its complex past, once being occupied by the Moors before being overtaken during the Reconquest. The best thing to do here is to explore the winding streets, relax in one of the plazas and admire the beautiful views. 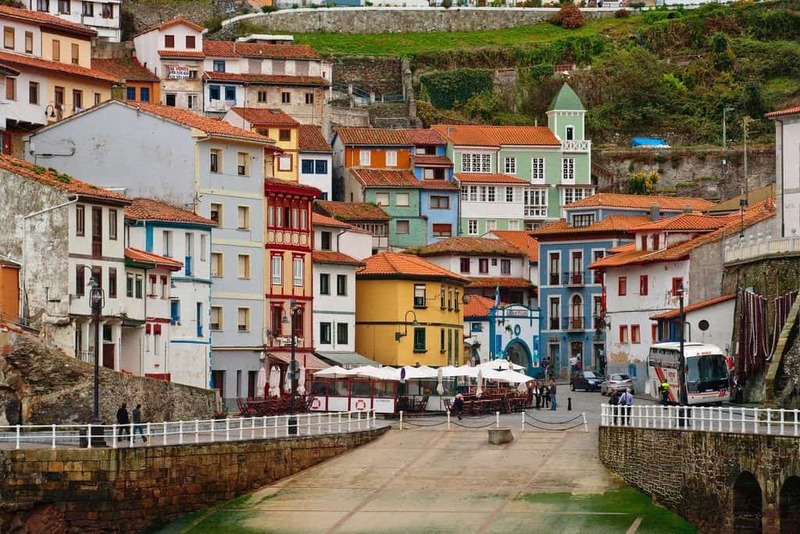 Asturias is known to be a region of beauty and its town of Cudillero is one of the reasons why. This fishing village is becoming quite popular with tourists who enjoy its brightly colored houses and tranquil atmosphere. The town rests on the steep cliffs around the small port creating stunning visuals for photography lovers to capture. More great views can be enjoyed from the lighthouse or the La Garita-Atalaya lookout point. This town is all about the looks! Found in the province of Cantabria in the north of Spain, Potes is an ideal town for active travelers. Being surround by mountains, rivers and streams makes it a great destination for many different sports like hiking, mountain biking, skiing and fishing. The old town has a medieval feel and is where you’ll find one the main sights in Potes, the Torre del Infantado, a tower from the 15th century. 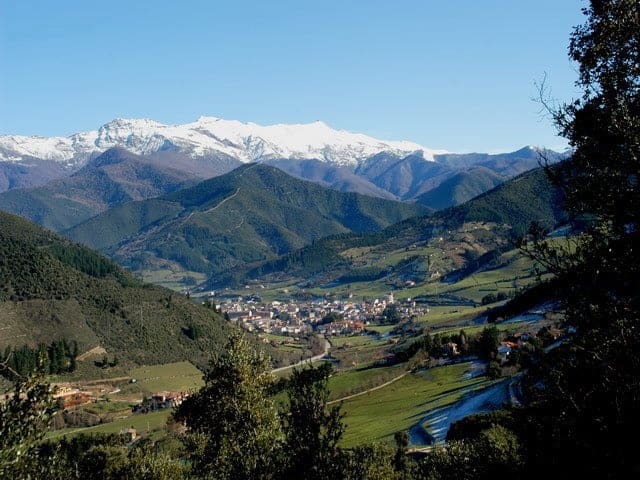 In November you can catch the town celebrating the Feast of the Orujo which is their local grape brandy. Altea in Alicante is another breathtaking seaside town filled with whitewashed houses and beautiful views. Perched on the top of the hill, the old town contains the Church of the Virgin of Consuelo known for its blue and white tiled roof. The plaza at the top of the hill is where you can catch wonderful views of the mountains and sea. The large Tuesday market is also a popular weekday activity for tourists and locals located in the New Town. 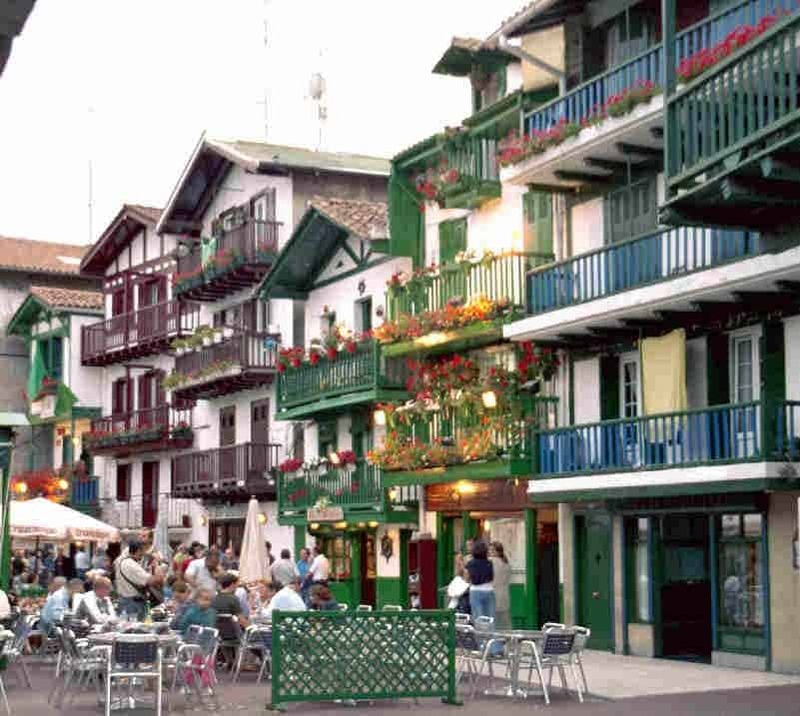 Many tourists are drawn to Hondarribia in the Basque Country to admire its walled town, wide beach and historical sites like the Castle of the Emperor Carlos V. This is also a great destination for admirers of Basque cuisine as the Old Town and the vibrant district of Marina have lots of restaurants and bars. Other important sites include the Zuloaga Palace with a splendid stone staircase, the 17th century baroque style Casadevante Palace and the Church of Santa María de la Asunción from the 15th century. 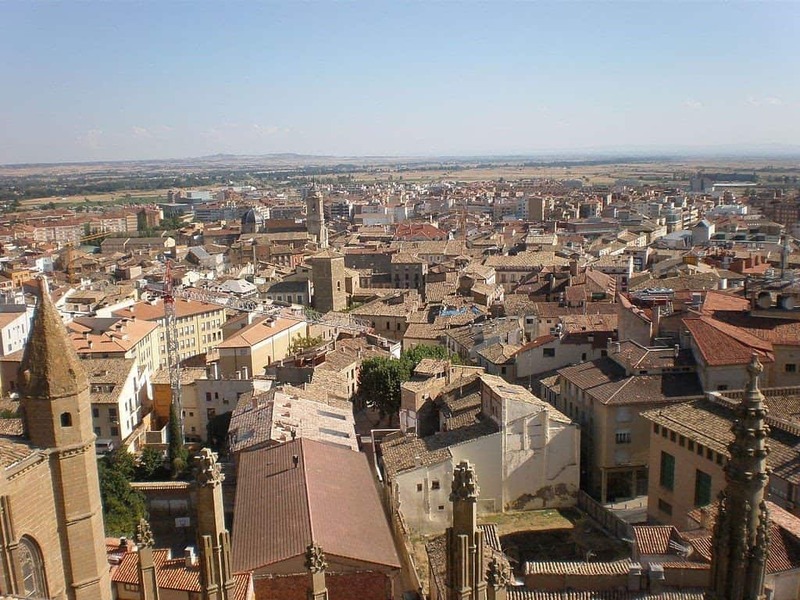 The charm of these towns just 30 minutes apart in the community of Castilla-La Mancha is not a seaside setting nor a well preserved medieval quality. 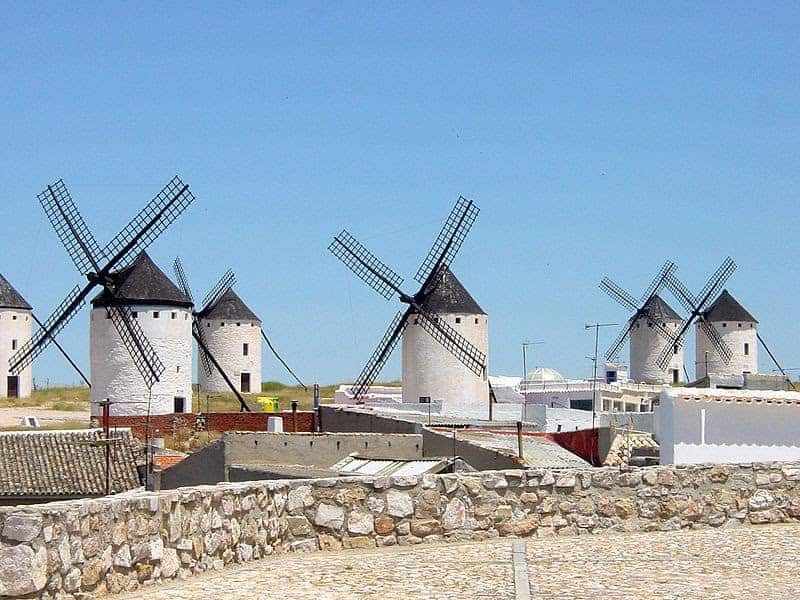 The most charming thing about Campo de Criptana and Consuegra are their connections to one of Spain’s most beloved novels, Don Quixote. The windmills of these towns date back to the 16th century and are the inspiration for one of the most memorable scenes in the novel. 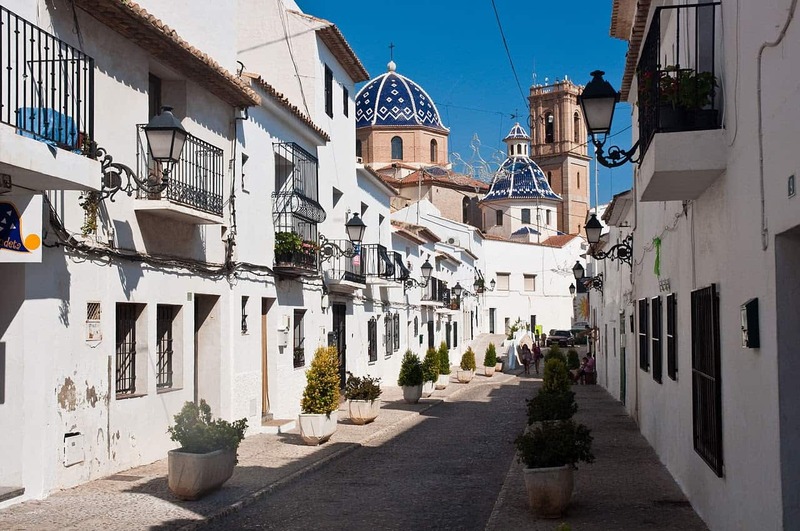 Apart from visiting the windmills, strolling through the white and blue painted buildings of Campo de Criptana or visiting the Consuegra Castle also add to the calming appeal of these towns. Not all of Spain’s best small towns have to be sleepy little villages tucked away from society. 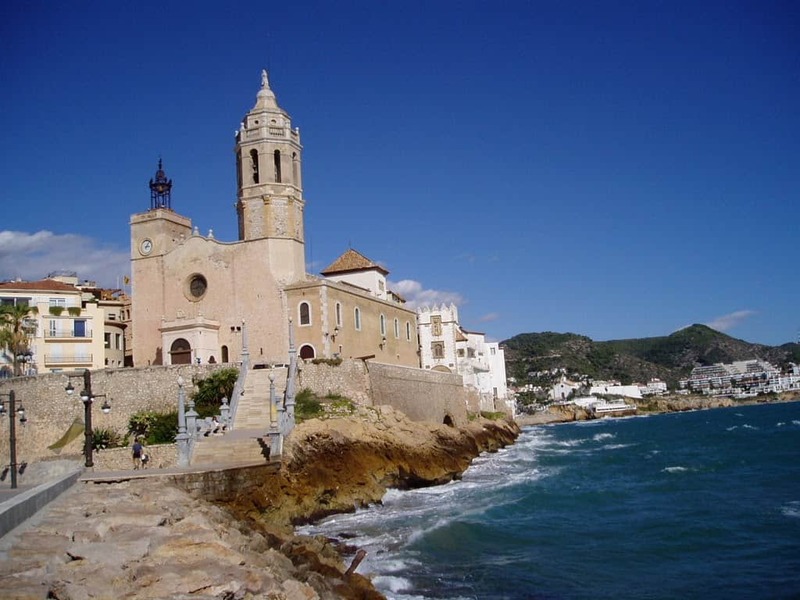 Sitges in Catalonia is probably one of Spain’s most lively and active coastal towns with amazing nightlife mostly catering to the LGBT community. Long stretches of white sandy beaches and white painted buildings adorned with blue shutters give the town its relaxed beachy feel. 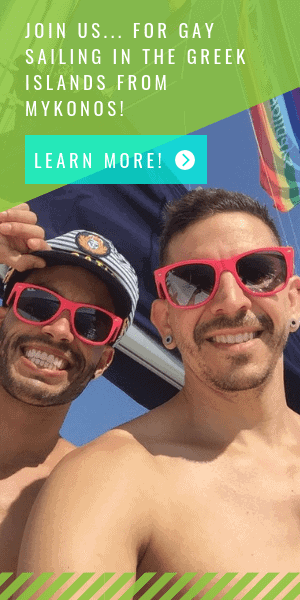 However, bar after bar and wild annual events like Sitges Pride and Sitges Carnival give it a lively, energetic atmosphere. This is the perfect destination for either a calm day at the beach or a wild night out dancing – or both! Which small town would you like to visit most in Spain? Do you have any you’d add to this list? You missed a good one: Alarcón, about 50 miles South of Cuenca on a bend in the Júcar river. It’s a small town, only about 4 blocks by 8 blocks, with just a couple of hundred permanent residents, but it swells with mostly Spanish tourists in the Summer. The most striking feature is the Caste of Alarcón, originally built in1184 by the Moors. An imposing keep (tower) was added in 1460. These days, it is a parador — one of the many historically important structures throughout Spain that have been converted into a hotel. It offers all the modern amenities, without distracting from the authenticity of the structure. 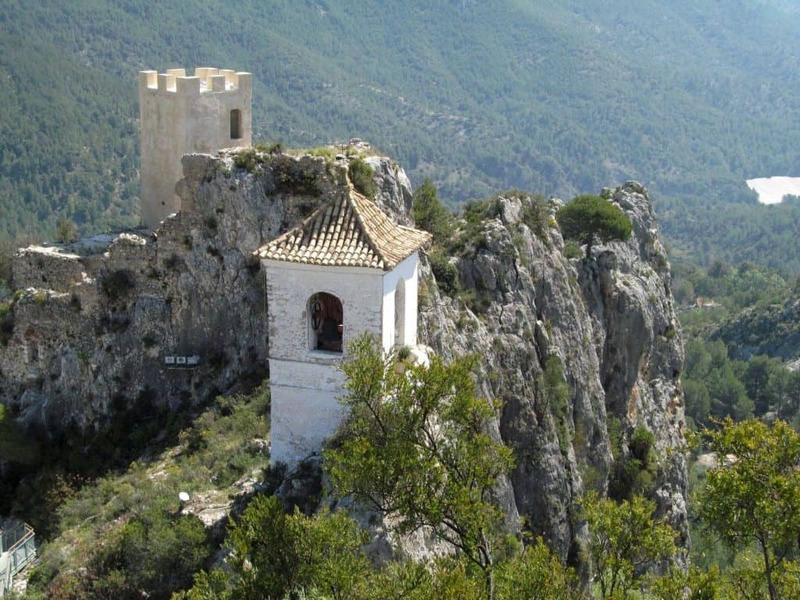 The keep offers incredible views of the surrounding country side all the way to Valencia. And there’s a medieval-style dining hall with an incredible menu. The town has other points of interest, too, such as the usual cathedrals (one featuring incredible murals) and quaint, quiet brick-lined streets with lots of white houses bleached by the sun. Not really a lot to do here, other than just bask in the town’s beauty, have a beer in one of the sidewalk cafes or explore the castle. But we spent a couple of days there and loved it. Yes! We still haven’t visit. Maybe later this fall. These are small towns yet fascinating. I love the view from Guadalest. Thanks for the glimpse.